The event which is billed as exclusive is hoping to facilitate insights, learnings and real opportunities to meet with JD.com, a giant B2C retailer in China. The organisers are inviting food, beverage and agribusiness suppliers across Australia to attend an information session, that outlines strategies, markets and opportunities provided by JD.com. JD.com markets itself as one of the largest retailers in the region (online & offline) and has also recently launched a chain of bricks-and-mortar fully automated convenience stores called 7Fresh. FIAL’s General Manager of Commercial workshops, Rod Arenas, described the session as a “Meet the Buyer” forum event, hosted by FIAL. “Our meet the buyer event is aimed at accelerating commercially driven collaboration by removing the gatekeeper and placing companies in front of retail buyers.” Arena said. According to the promoters, Chinese Government policies are designed to cement China as a global e-commerce leader. In line with China’s transition from an investment-heavy growth plan, towards a more consumption-driven model, FIAL and Brisbane Marketing believe food, beverage and agribusinesses can gain considerably by attending. What are the type of products in high demand? How are the products being positioned and promoted? What are the opportunities for Australian food manufacturers in these categories? The event is scheduled for 15 May 2018, at the Brisbane Marriott Hotel. Time: 8.30 a.m. to 3 p.m.
Register here: https://www.eventbrite.com.au/e/jdcom-meet-the-online-retailer-event-tickets-44784075375. Spaces are limited, so pre-registration is essential. 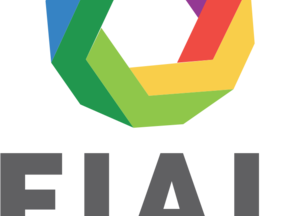 FIAL is an industry-led, not-for-profit organisation, funded by the Australian Government. Gelatissimo has released three new Australian summer inspired flavours.